This weekend I decided to give my DVD Player some much needed time off. I mean after all I will be working it over time starting late next week. So this weekend I decided to watch movies on the various On-Demand channels I have. I like to do this every great once in a while to see if I can find some movies I would like to add to my collection. So I will be watching both... movies that I have never seen before as well as movies I have not seen in many years to remind myself of them. The ones that are links you can check out what movies I have to choose from... if you feel up to it... give me some suggestions! Remember... no horror this weekend! The first thing I did after I watched this movie was check the reviews here because I thought I remembered someone else reviewing this movie. And I was right. Both Rich and Marie reviewed this one. I found myself siding more with Marie personally. With all due respect to Rich... who I know disliked this movie quite a bit... I must say I disagree! I found this movie to be quite a bit of fun. It felt like a good fantasy fun for the entire family mixed with a bit of Romantic Comedy. That being said I wouldn't say this is a great movie as it is a bit silly at times. But it is definitely enjoyable.I was actually a bit surprised to see Courteney Cox in this one as I never heard anything of her in it before. Though she is only in the beginning and the end of the movie as she played the mother to the kids Adam Sandler was watching. On this one I plan on eventually adding to my collection. But not one I will rush to do so with as I am sure it will be a while before I am in the mood to watch it again. I can't remember now what you have and don't have..so never mind if I mention something you've seen or even own. Bolt on Starz on Demand is cute..if you are in the mood for an animated movie. Lakeview Terrace also on Starz isn't bad...predictable at times, but still a decent movie. I liked Absolute Power..entertaining thriller type movie. Dead Calm is good..and has Nicole Kidman in one of her early roles. High Anxiety is good. I'll probably get the DVD someday. The only thing jumping out at men on the HBO list is Sweeny Todd..and I know that won't work because it is horror...and it's a musical. The Bank Job is entertaining. 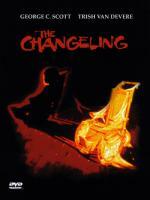 Changeling..I thought this one was very good, though it isn't a fun or happy movie. In Bruges is good...though again, not a fun or happy movie. I didn't see anything on Movie Channel on Demand. I have heard that Into the Wild is good, but I haven't seen it. Here is an award-winning feature that boldly mixes a frightful ghost story with a great suspense plot and keeps you guessing all the way. George C. Scott and Trish Van Devere star in a thriller that challenges the viewer to solve its mystery. It's a haunted-house adventure complete with seances, nocturnal grave-diggings, ghostly spirits, and an ancient puzzle jealously guarded by a devious man (Academy Award™ winner Melvyn Douglas). Scott is splendid as the man who becomes an unwilling instrument of a ghost's revenge and learns to trust no one. Eerily entwining a detective story with the mystery of the supernatural, 'The Changeling' delivers solid entertainment and a frightening good time. But now I am guessing it isn't a remake of the above? Since that is a horror movie. Well I didn't click on the link ..I just thought it was the movie from last year directed by Eastwood with Angelina Jolie. I might have even posted about it here after I saw it...hmmm... I think I did. I know I posted a review on Epinions. Going by the overview it don't sound like a remake of the ghost story... so that is cool. Which is surprising as much as they make remakes now a day! I can vouch for Into the Wild - I thought it was terrific. Another one I didn't get around to yet; and sitting in my wishlist for far too long. Me too. About the greatest thing since The Princess Bride. Based on a Neil Gaiman story. A lot going on with me today/tonight... so probably won't be able to get to another one till tomorrow... but there has been a few mentioned I want to check out. I reckon you'll be busy! And heartwarming stories about music seems about as far from what you will be watching as you could get! That is for sure Jon... And Thanks! Just a minute here..I said it was good. Yes parts of it are very funny, but it takes a very, very dark turn that I didn't like as well. But I still think it is a good movie. I even posted a review on Epinions and gave it four out of 5 stars.